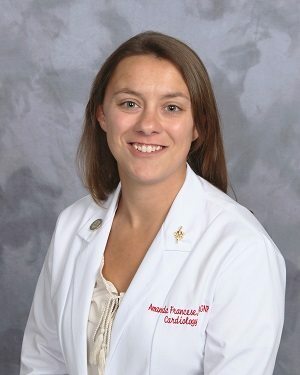 Amanda Francese, ANP, has joined Albany Associates in Cardiology in Albany, New York, a practice of St. Peter’s Health Partners Medical Associates. An adult nurse practitioner board-certified in adult gerontology, Francese will practice cardiac, primary, and acute care. Her professional interests include heart failure and atrial fibrillation. Previously, she worked as a cardiac critical nurse at St. Peter’s Hospital in Albany, a member of St. Peter’s Health Partners. Francese received her nursing degree and master’s degree from The Sage Colleges in Albany. Albany Associates in Cardiology is accepting new patients at 2 Palisades Drive in Albany. For more information or to schedule an appointment, please call 518-458-2000.